Call or Text 714-713-4872, 6500+ signed, Mobile Notary, RE/Loan, Immigration, Legal Docs, Jails, Hospitals, Spanish speakers, Courier Service, same day appointments. Same day Mobile Notary - Traveling Notary and Private Courier Services are generally available in Orange County, Los Angeles, San Diego, Riverside and San Bernardino. CA Notary Services has extensive experience notarizing all types of documents: Specializing in Mortgage Loan Docs, Real Estate, Deeds, Living Trusts, Pre-Nuptial Agreements, Power of Attorney, Certified Translations, Letter of Consent for minor children to travel, Affidavit of Inability to Appear, Health Care Directive, Structured Settlements, and Immigration experience. We service Apostille and Certification services for international documents and are able to do translations. They refers clients to their lenders/broker/agent/attorney with any specific questions. CA Notary Services prides itself in mentoring notaries to become passionate professionals. They have developed into a network of bilingual English and Spanish speaking notaries across Southern California to assist you and assure clients have a quality notary to handle their document needs. All the notaries are trained to handle sensitive signings in Hospitals, Jails, Nursing or Assisted Living facilities, Hotels, and Conference Centers. You can rest assured that Christian and his team have the know-how to handle your documents properly - Guaranteed!Call or Text 714-713-4872, 6500+ signed, Mobile Notary, RE/Loan, Immigration, Legal Docs, Jails, Hospitals, Spanish speakers, Courier Service, same day appointments. Same day Mobile Notary - Traveling Notary and Private Courier Services are generally available in Orange County, Los Angeles, San Diego, Riverside and San Bernardino. 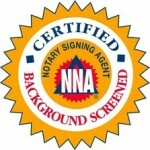 CA Notary Services has extensive experience notarizing all types of documents: Specializing in Mortgage Loan Docs, Real Estate, Deeds, Living Trusts, Pre-Nuptial Agreements, Power of Attorney, Certified Translations, Letter of Consent for minor children to travel, Affidavit of Inability to Appear, Health Care Directive, Structured Settlements, and Immigration experience. We service Apostille and Certification services for international documents and are able to do translations. They refers clients to their lenders/broker/agent/attorney with any specific questions. CA Notary Services prides itself in mentoring notaries to become passionate professionals. They have developed into a network of bilingual English and Spanish speaking notaries across Southern California to assist you and assure clients have a quality notary to handle their document needs. All the notaries are trained to handle sensitive signings in Hospitals, Jails, Nursing or Assisted Living facilities, Hotels, and Conference Centers. You can rest assured that Christian and his team have the know-how to handle your documents properly - Guaranteed! Call/Text 714-713-4872, 6500+ signed, on Approved lists, RE/Loan, Immigration, Legal Docs, Jail /Hospital, Spanish speakers, Courier Service, same day appointments Call or Text Christian at 714-713-4872 Christian has completed over 6500 signings for title and escrow companies, attorneys, immigration consultants, financial planners, signing services, individuals and families. CA Notary Services prides itself in mentoring notaries to become passionate professionals. They have developed into a network of bilingual English and Spanish speaking notaries across Southern California to assist you and assure clients have a quality notary to handle their document needs. Christian and his team are highly experienced approved NNA Certified and Background Screened Notary Signing Agents with several national and local title companies including: Fidelity National Title, Orange Coast Title, First American, Placer Title, Chicago Title, Stewart Title, Ticor Title, Security Union, etc. Christian is an approved notary with Provident Funding. CA Notary Services understands the quickly changing regulatory climate. Every notary on the team exceeds all SPW current regulatory requirements, including annual background checks. They are also specifically trained in-branch closings and are aware of the closing scorecards that will be affecting major lenders. Christian has extensive experience closing all types of documents: Specializing in Mortgage Loan Docs, Real Estate, HELOC, Reverse Mortgage, FHA/VA, Structured Settlements, and Immigration experience. He refers clients to their lenders/broker/agent/attorney with any specific questions. All the notaries are trained to handle sensitive signings in Hospitals, Jails, Nursing or Assisted Living facilities, Hotels, and Conference Centers. You can rest assured that Christian and his team have the know-how to handle your documents properly - Guaranteed!!! We have a team of notaries that specialize in Jail Signings. All of our notaries have the appropriate security clearances and twenty-four hour access for official visits with inmates. We work on all documents, specializing in Power Of Attorney, Affidavit of Inability to Appear, Temporary Assignment of Guardianship, Issuance of a US Passport to a Minor Under Age sixteen DS-3053, Travel Letters, Affidavit of Translation, and Vehicle Release for Impounded Vehicles. Documents can be accepted in person, fax, or via email. Our relationship with attorneys, ministers, immigration officials, and police are vital in coordinating for inmate signings. Christian accepts E-documents, E-Signings ( NYCB/AmTrust, Fiserv, Gemstone, Flagstar ), overnight documents, or fax documents. His office is equipped with a top of the line Brother HL-6180DWT Laser Printer with Wireless Networking, Duplex and Dual Paper Trays. CA Notary Services goes over and beyond the general duties of a standard Notary Public. Our notaries have also been trained to operate in sensitive legal settings, including courtrooms and local prisons. They are especially trained in handling legal documents, acting as legal runners for attorneys, and performing oral and written translations. CA Notary Services also offers Apostille and Certification services for international documents. We have a team dedicated to authentication of notaries, County Clerks or Recorders, Court Administrators, Judges, Executive Clerks, Executive Officers of the Superior Court, State Officials or Officers whose authority is not limited to any particular county. We work closely with the California Secretary of State’s office in Los Angeles and Sacramento and are often able to expedite processing. Our notaries are trained in assisting Car Title Lending companies verify specific items of the car they are lending on, as well as a visual inspection. Christian is a member of the National Notary Association, the United States National Association of Notaries, Notary Rotary, and has been Certified with 123Notary. He carries a $1,000,000 errors and omissions policy and is Gramm-Leach Bliley Compliant. Exceptional references are available upon request. Christian is available 24/7 in the following locations: Orange County (ALL cities), Los Angeles County (cities of Cerritos, Downey, Bell, City of Industry, Commerce, Santa Fe Springs, Long Beach, Lakewood, Artesia, Norwalk, La Mirada, Whittier, La Habra, South Gate, Lynwood, Hacienda Heights, La Puente, Diamond Bar, West Covina, Rowland Heights, Baldwin Park, Covina, San Dimas, Pomona, Montebello, El Monte, Rosemead, West Hollywood, North Hollywood, Venice, Culver City, Chatsworth, Simi Valley Burbank, Calabasas, Venice, West Hills, Canoga Park, Van Nuys, Sherman Oaks, Woodland Hills, Northridge, Pacoima, Beverly Hills, Tarzana, Sun Valley, Thousand Oaks, Universal City, Reseda, Northridge and others upon request. ), San Diego County (cities of Bostonia, El Cajon, Santee, Rancho San Diego, La Mesa, Spring Valley, Lakeside, Lemon Grove, La Presa, Bonita, National City, Alpine, Poway, San Diego, Chula Vista, Coronado). San Bernardino (Chino, Chino Hills, Ontario, Colton, Loma Linda, Grand Terrace and others upon request) and Riverside (Corona, Norco, Riverside and others upon request. ) Other locations in Southern California are available. Call for specific service areas listed by zip codes. Let's take care of your documents today. Call or text 714-713-4872 now to have a notary meet with you.Call/Text 714-713-4872, 6500+ signed, on Approved lists, RE/Loan, Immigration, Legal Docs, Jail /Hospital, Spanish speakers, Courier Service, same day appointments Call or Text Christian at 714-713-4872 Christian has completed over 6500 signings for title and escrow companies, attorneys, immigration consultants, financial planners, signing services, individuals and families. CA Notary Services prides itself in mentoring notaries to become passionate professionals. They have developed into a network of bilingual English and Spanish speaking notaries across Southern California to assist you and assure clients have a quality notary to handle their document needs. Christian and his team are highly experienced approved NNA Certified and Background Screened Notary Signing Agents with several national and local title companies including: Fidelity National Title, Orange Coast Title, First American, Placer Title, Chicago Title, Stewart Title, Ticor Title, Security Union, etc. Christian is an approved notary with Provident Funding. CA Notary Services understands the quickly changing regulatory climate. Every notary on the team exceeds all SPW current regulatory requirements, including annual background checks. They are also specifically trained in-branch closings and are aware of the closing scorecards that will be affecting major lenders. Christian has extensive experience closing all types of documents: Specializing in Mortgage Loan Docs, Real Estate, HELOC, Reverse Mortgage, FHA/VA, Structured Settlements, and Immigration experience. He refers clients to their lenders/broker/agent/attorney with any specific questions. All the notaries are trained to handle sensitive signings in Hospitals, Jails, Nursing or Assisted Living facilities, Hotels, and Conference Centers. You can rest assured that Christian and his team have the know-how to handle your documents properly - Guaranteed!!! We have a team of notaries that specialize in Jail Signings. All of our notaries have the appropriate security clearances and twenty-four hour access for official visits with inmates. We work on all documents, specializing in Power Of Attorney, Affidavit of Inability to Appear, Temporary Assignment of Guardianship, Issuance of a US Passport to a Minor Under Age sixteen DS-3053, Travel Letters, Affidavit of Translation, and Vehicle Release for Impounded Vehicles. Documents can be accepted in person, fax, or via email. Our relationship with attorneys, ministers, immigration officials, and police are vital in coordinating for inmate signings. Christian accepts E-documents, E-Signings ( NYCB/AmTrust, Fiserv, Gemstone, Flagstar ), overnight documents, or fax documents. His office is equipped with a top of the line Brother HL-6180DWT Laser Printer with Wireless Networking, Duplex and Dual Paper Trays. CA Notary Services goes over and beyond the general duties of a standard Notary Public. Our notaries have also been trained to operate in sensitive legal settings, including courtrooms and local prisons. They are especially trained in handling legal documents, acting as legal runners for attorneys, and performing oral and written translations. CA Notary Services also offers Apostille and Certification services for international documents. We have a team dedicated to authentication of notaries, County Clerks or Recorders, Court Administrators, Judges, Executive Clerks, Executive Officers of the Superior Court, State Officials or Officers whose authority is not limited to any particular county. We work closely with the California Secretary of State’s office in Los Angeles and Sacramento and are often able to expedite processing. Our notaries are trained in assisting Car Title Lending companies verify specific items of the car they are lending on, as well as a visual inspection. Christian is a member of the National Notary Association, the United States National Association of Notaries, Notary Rotary, and has been Certified with 123Notary. He carries a $1,000,000 errors and omissions policy and is Gramm-Leach Bliley Compliant. Exceptional references are available upon request. Christian is available 24/7 in the following locations: Orange County (ALL cities), Los Angeles County (cities of Cerritos, Downey, Bell, City of Industry, Commerce, Santa Fe Springs, Long Beach, Lakewood, Artesia, Norwalk, La Mirada, Whittier, La Habra, South Gate, Lynwood, Hacienda Heights, La Puente, Diamond Bar, West Covina, Rowland Heights, Baldwin Park, Covina, San Dimas, Pomona, Montebello, El Monte, Rosemead, West Hollywood, North Hollywood, Venice, Culver City, Chatsworth, Simi Valley Burbank, Calabasas, Venice, West Hills, Canoga Park, Van Nuys, Sherman Oaks, Woodland Hills, Northridge, Pacoima, Beverly Hills, Tarzana, Sun Valley, Thousand Oaks, Universal City, Reseda, Northridge and others upon request. ), San Diego County (cities of Bostonia, El Cajon, Santee, Rancho San Diego, La Mesa, Spring Valley, Lakeside, Lemon Grove, La Presa, Bonita, National City, Alpine, Poway, San Diego, Chula Vista, Coronado). San Bernardino (Chino, Chino Hills, Ontario, Colton, Loma Linda, Grand Terrace and others upon request) and Riverside (Corona, Norco, Riverside and others upon request. ) Other locations in Southern California are available. Call for specific service areas listed by zip codes. Let's take care of your documents today. Call or text 714-713-4872 now to have a notary meet with you. Negotiable. Call or text 714-713-4872 for an exact quote. We have several pricing structure for those with multiple notarized signatures. Volume Discounts available for high volume clients. Discount for Veterans.